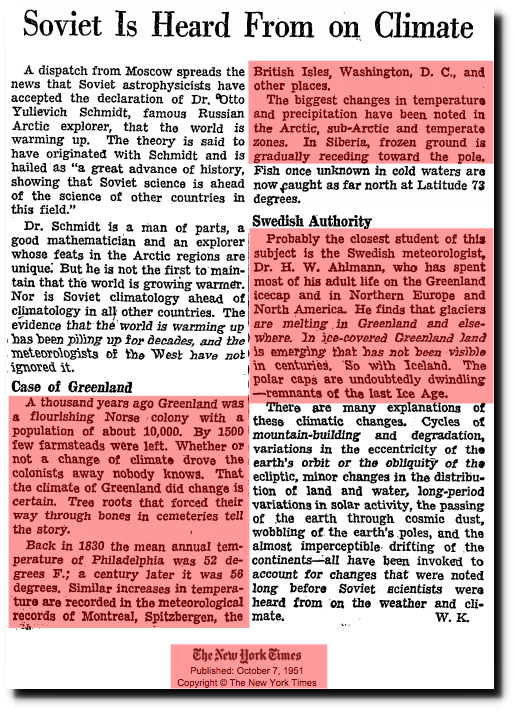 Prior to recent data tampering by current government funded climate scientists, there was a Medieval Warm Period, and four degrees warming from 1830-1930 at Philadelphia, Montreal, Spitzbergen, Britain and Washington DC. 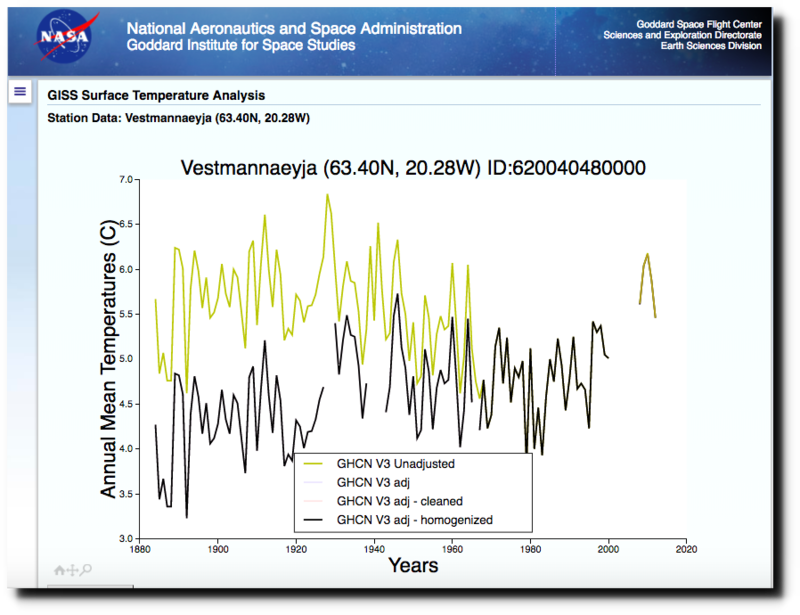 Arctic warming was even greater. The warmth of the 1930’s was very inconvenient for government agencies like NASA and NOAA which depend on global warming funding, so they simply erased it. What’s amazing is that no one in the system calls foul. How many German scientists called foul during Hitlers reign? How many scientists called foul during the global cooling scare? and fought for the survival of their cooling theory? They became global warming scientists the same way german nazi scientists became democratic US scientists. How many western Islam experts cry foul when islam is called the religion of peace though they know that islam means subjugation and that it is(from the very beginning) a system of slavery and apartheid and ethnical cleansing(just in the past decades hundreds of thousands of square miles have been ethnically cleansed by them and every year more than a hundred thousand christians are killed by them. shows how rotten,primitive,disgusting,intolerant and shameless this religion is. they cherry pick data,search until they find anomalies which suit their agendas and pretend that these anomalies are the standard. The extreme heat of the 1930’s, 1940’s and 1950’s has been adjusted out of existence by fake climate scientists, as has the extreme cold of the late 1970’s. They were all highly inconvenient truths. The obvious goal was to present a neat, ever increasing step pattern of steadily increasing warming designed to frighten the public and pilfer more dollars from the Treasury. It is totally obvious to anyone that is open minded and willing to look at the actual temperature records. By the end of this month, a lot of people are going to be praying for global warming, especially after seeing their heating bills! On the Central England temperature series there is no warming from 1730 to 1930.